Hud Scifi Intro.hud Spheres Rotating Around Digital Techno Sphere. Description: Futuristic Satellite. 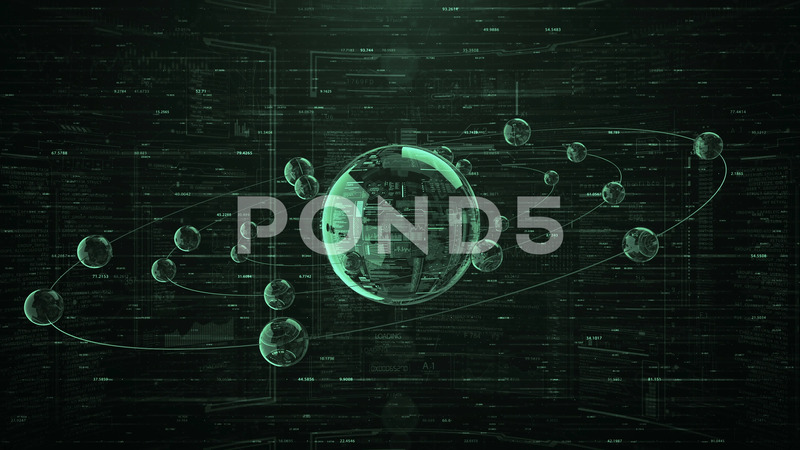 Cyberspace.Global planet connection.Artificial intelligence interface with infographic display.Green.